Creates a good environment for students living off campus. They respond to all concerns and needs. The apartments themselves could use some maintenance and cleaning but the staff is quick to help fix any major needs. Most of the times it’s a great place to live. The only complaint that I have is sometimes the music people play at the pool makes me uncomfortable. I don’t like explicit content . Management has been quick to resolve my issues. The staff is always friendly when I go sit in the office to wait for rides. The maintenance is great for all your needs. The “beauty” of the apartment is not great. It does not have much grass area at all. The pool is really nice. Not a bad place for college students. Good place to stay, managed by professional staff and maintenance crew are on the top of it. Will recommend staying here. Manager are flexible to accommodate requests. Your maintenance crew often doesn’t do the work they claim or they do a poor job. Things are hardly ever don’t timely. There is always dog potty everywhere in the grass so watch out ! And the staff in the office is almost always rude. It was a good experience overall. Really liked all my roommates and had no problems with them. If I had to change one thing it would probably be the time it takes to fix some stuff. Probalem with roommates. A lot of people on my apartment. I would like to move apartments bit overall theure nice if you have good roommates. Office syagg is always friends and Jason the manaher always helps me oit but won't hire me for some reason. Angelo place has been decently alright, but I don’t love it. I work a full time job and the weekends at ap have so many parties making it near impossible to sleep when I have to be up at 6 am the next day. I love my roommates and the staff. The issues are always addressed quickly and well. My only issues are noisy upstairs neighbors who party all the time but what can ya do🤷‍♀️. You guys have been so supportive of me during a really bad time in my life. I’m very grateful for that. Thank you!!! I don’t know how much I appreciate you extending yourselves with the staff in making my life a little less stressful. Excited for my new place, perfect location near ASU campus. The people in the front office are very helpful and reliable during the entire leasing process. I have not moved in yet but the customer service has been outstanding. Since I am located in another state at the moment I though this process would be a pain. Andrew, we are thrilled to hear your experience has been outstanding so far! We're here to ensure your experience at Angelo Place is is outstanding from your application to the end of your lease. Let us know if there is anything we can do for you! Things seem to be improving overall. I’ve been here almost two years now and you can tell a difference in most of the things I’ve previously complained about. The grounds are cleaner, the reserved parking is finally marked and the maintenance staff is timely. The office staff is always friendly and helpful. The only thing holding me back from 5 stars is the noise can be a lot some nights and the WiFi is still super spotty. I’d never do important work here for fear of the connection dropping halfway through. Other than that you can’t beat the price for all the accommodations. I would recommend Angelo Place to friends. Angelo Place has shown to be a good environment for those looking to live close to the college campus. Lots of students from ASU live in these apartments because of its proximity to the school. Michael, thank's for taking the time to review AP! We love to hear from our residents, please continue to reach out to us if you need anything, we're always here for you. Don't forget Frito-Friday tomm in the lounge @6pm, see you there! Pretty good overall, could be cleaner and some of the furniture could be replaced. Good for everyone who’s looking for a cheap place to stay. Good news Nils, we do address each units furniture need yearly. We will be conducting our annual walks this Spring and will replace any furniture as needed. Let us know if we can assist you with anything in the meantime, and thanks for the review! It’s nice that you can sign an individual lease so that you don’t have to worry about finances if someone in your apartment decides to move out. Amenities are great, everything else is okay. Definitely a good first time apartment. The rent is good for what you receive. Overall okay apartment. This is a fun place to live at! It’s very convenient with the printing room. Helps with homework with school. Also the people that work here are really nice. It is very unorganized. Very difficult to work with the office because they seem to always be on the phone or not in. Definitely a student apartment complex but that is it. Angelica, we can't wait to have you as a part of the AP community! We strive to make your moving experience hassle free and answer all your questions. Please let us know if you have any additional questions. This is a good place to live with friendly people who interact with each other where special prices are handed anytime Angelo Place holds an event. Luis, great to hear from you! Thanks for coming out to our events, we look forward to seeing you at the next one. As always if there is anything we can do for you in the meantime let us know! 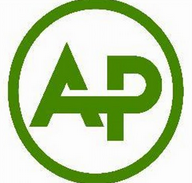 Thanks for being a part of the AP Lifestyle! Great place. Not so good roommates. Very messy and disrespectful. On the bright side, Angelo place did solve my issue ASAP. I would love here again if they offered 1 bedrooms.